Banilah is located next to the most fashionable quarter of the city Nimmanahaeminda. Banilah is less than 5 minutes from Kad Suan Keaw shopping center, Tanin Fresh Market, and the International Training Massage school (ITM). We are also just a stone's throw away from Tops supermarket and the Super Highway giving you quick access to travel to the countryside outside of Chiang Mai City. 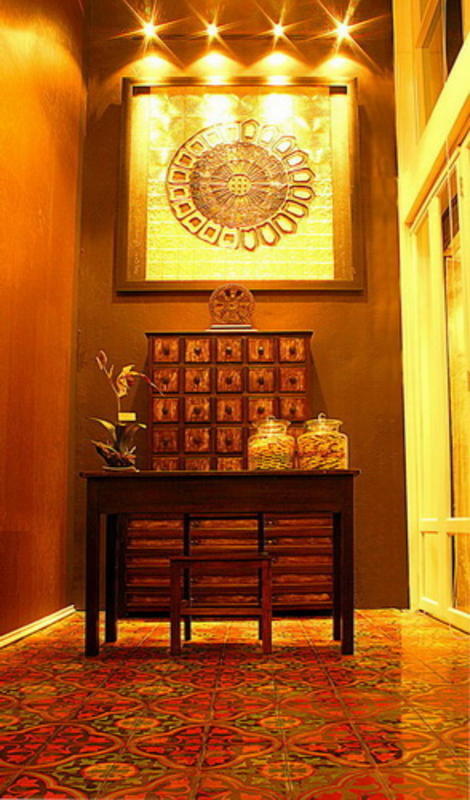 Banilah has renovated a building and transformed it into a comfortable, eye-pleasing fusion including a stylish Lanna sensibility. The combination of Lanna art and modern design provides an extremely warm and relaxing atmosphere that pleases the senses and touches the heart. Well-maintained rooms are decorated with locally produced artwork including paintings and hand-carvings. Our beautiful building includes a lovely courtyard garden where you can relax in a cool, serene atmosphere. All of our rooms have private, fully equipped bathrooms and include fast Internet WiFi access free of charge. Also, please enjoy our fresh coffee and teas available in a unique lobby caf้ that includes one of Chiang Mais best music collections, DVD movie screenings and free use of our PC computers and printers. We hope you will enjoy a wonderful and relaxing time here with us at Banilah and we will do our best to provide you with any information that you need to make your visit to our lovely city more enjoyable. Banilah offers more than what you've expected for what you pay. All of our rooms are decorated with boutique and unique stye, with en-suite bathroom (hot shower), flat screen television with 60 channels cable TV, drinking water. High speed internet access & wifi are also provided for every room all day and all nights as free !! Check-in time : From 2 p.m.
After check-in, you'll get a key to move in and out of Banilah at anytime. Banilah is located far from the moat approx 1 km and located behide Sotesueksa School (school for deaf-mute), close to Kad Saun Keaw shopping center, Tanin fresh market, International Training Massage School (ITM) and super highway. It takes approx 10-15 minutes from the airport, 15-20 minutes from bus station / railway station, 10 minutes from Sunday walking street and 10-15 minutes from night bazaar. If you are arrive Chiang Mai by air, we recommend you to use Airport Taxi service with the cost of 120 THB from the airport to Banilah and 100 Baht for tuk tuk or song-teaw from bus station or railway station.